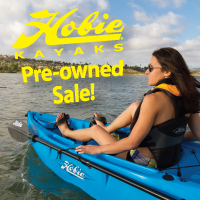 Limited supply of pre-owned Oasis models available - call Quest for details! 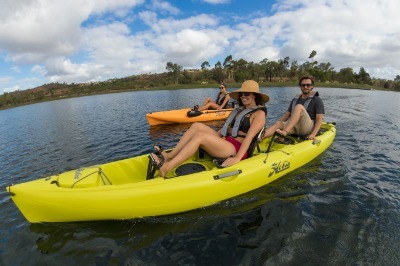 The Oasis is stretched-out and spacious; the more performance-oriented of Hobie's pair of tandems powered by the elegant, easy-to-use MirageDrive. So speedy, yet boasting a robust carrying capacity suitable for a weekend camping trip or fishing with enough gear to stock a tackle shop - there are four convenient hatches and a generous on-deck storage area, as well as molded-in rod holders. The Oasis gets the job done in style and comfort.